1. 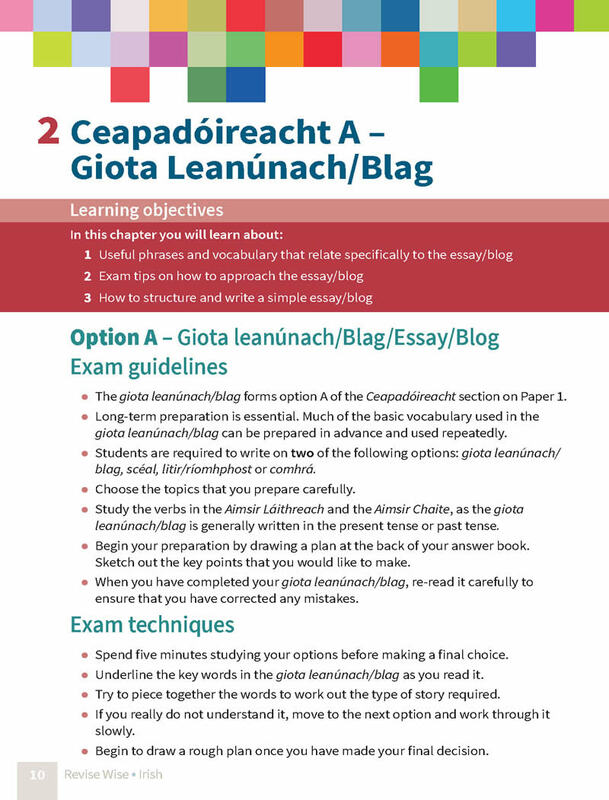 In Paper 1, Question 1, you are required to answer any two of A, B, C or D. The easiest ones to do are B (story) and C (letter), as you can learn vocabulary and phrases in preparation for these sections. 2. In the Prose section on Paper 2, you need to be able to give a summary of the story, write about the theme of the story and write about the individual characters and why you like or dislike a character. 3. In the Poetry section on Paper 2, remember to quote from the poem to reinforce your answer. The poem will be printed on the paper. Never quote lines that you do not understand. Always try to explain the quote in your own words. 4. Concentrate and focus during the aural examination. When there are long time gaps between sections it is essential that you spend the time reading the questions in the next section. 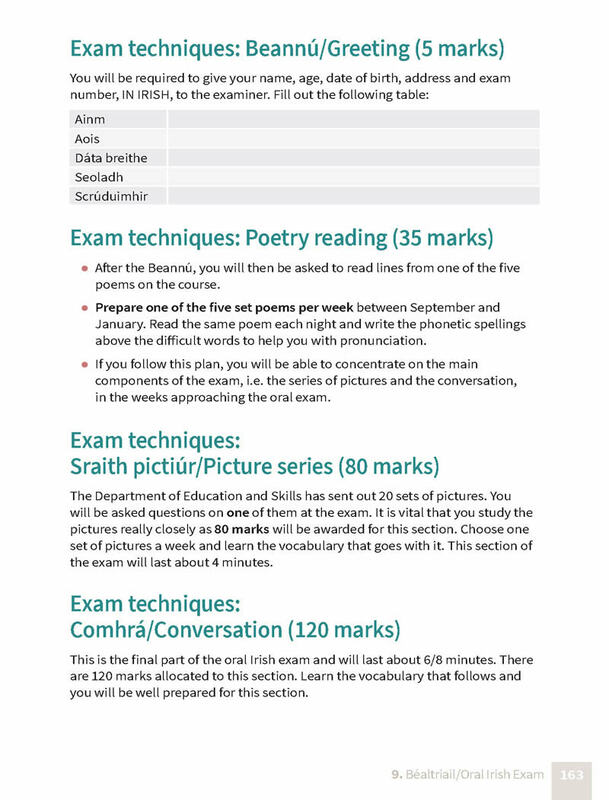 Remember that no marks will be awarded for answers in English. 5. 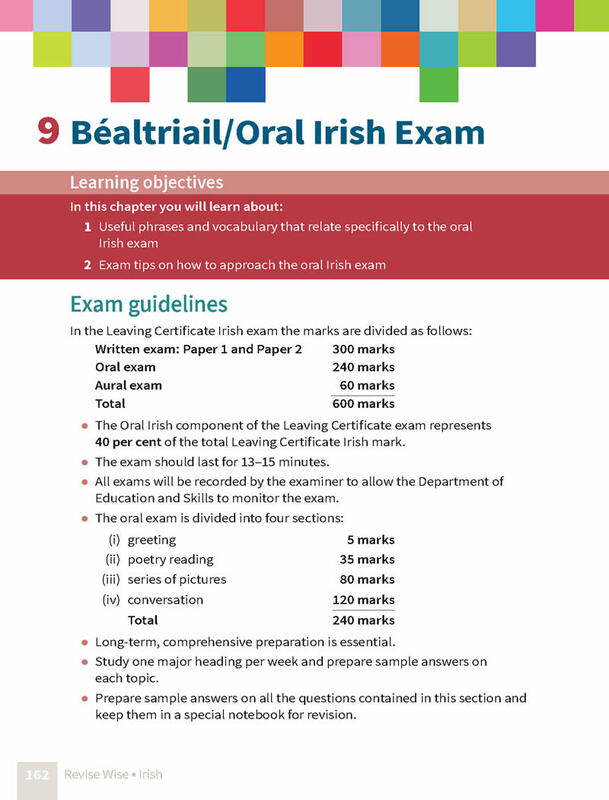 For the oral exam, practice makes perfect, so speak Irish as much as you can. You’ll then be well able to talk to the examiner on the day about yourself, your family, school, area, hobbies, career plans, holidays and such like. Yvonne O’Toole teaches Irish in Holy Faith Secondary School, Clontarf, Dublin and was awarded a M.Sc. degree in 2004. 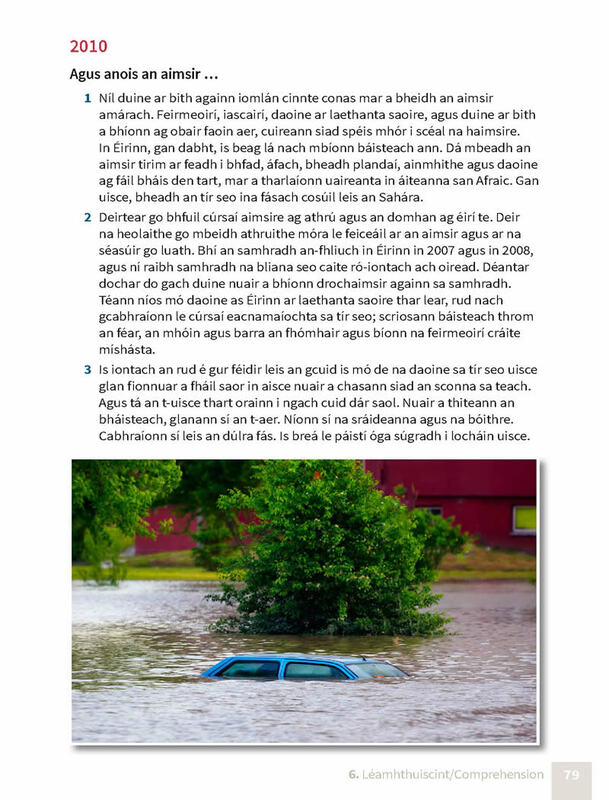 She has been involved in publishing for a number of years and is co-author of numerous Edco textbooks, including Fonn 1,2 and 3, Fuinneamh, Fiúntas1, Cumarsáid and An Triail Cabhair agus Cúnamh. 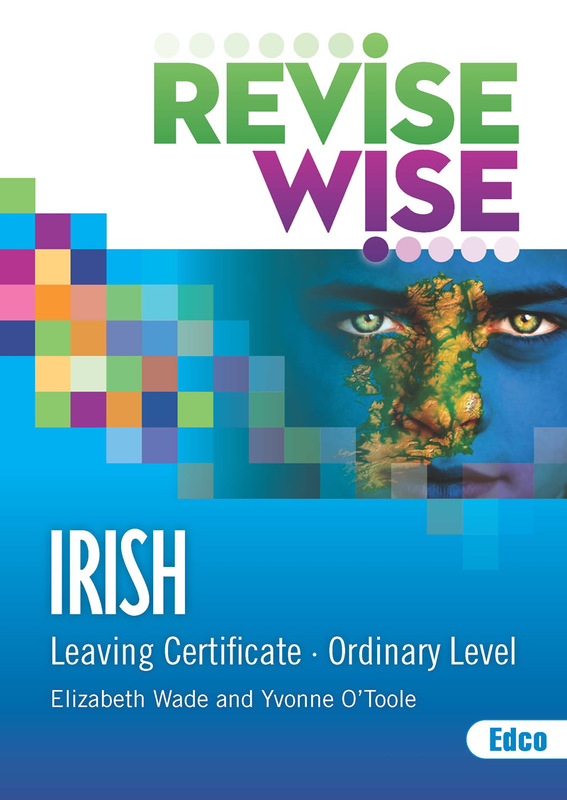 Elizabeth Wade teaches Irish in Coláiste Íosagáin, Dublin and is currently studying for a Masters Degree in Irish. 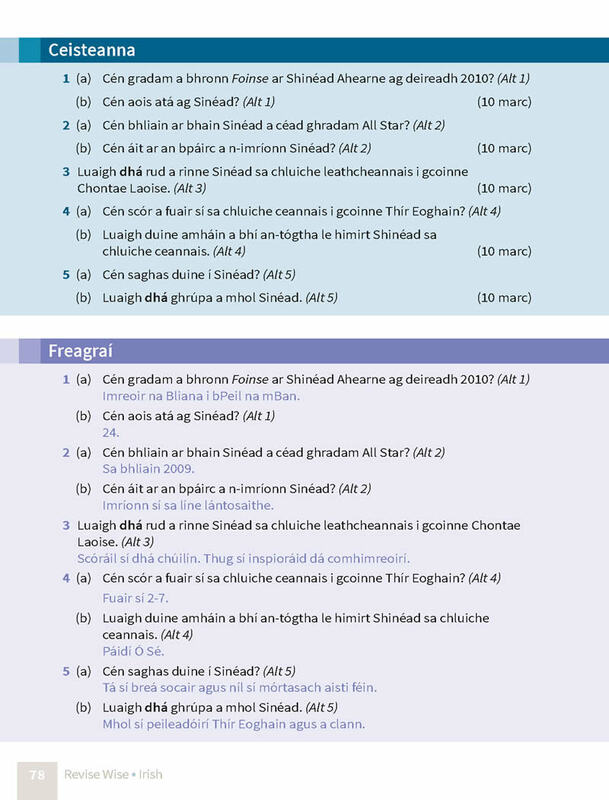 Elizabeth is co-author of numerous Edco textbooks including Fonn 1, 2 and 3, Fuinneamh, Fiúntas1, Cumarsáid and An Triail Cabhair agus Cúnamh.